United Reggae offers the sixth free digital music sampler together with this issue. It contains 23 tracks from several of the artists that are covered in this sixteenth issue such as Tappa Zukie, Reggae Regular, Sizzla, Queen Omega and more. 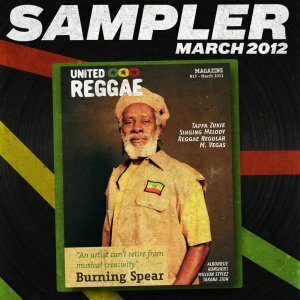 This music sampler is available for free download with United Reggae Magazine #17 - March 2012. Recorded at conscious sounds studio.